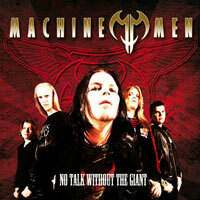 Machine Men is a Finnish Heavy Metal band inspired by bands such as Iron Maiden, Ozzy Osbourne, and Queensryche. 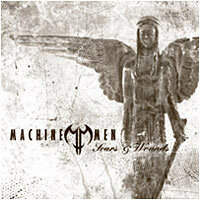 Machine Men was born in the fall of 1998, when Turbo J-V Hintikka joined Antony Parviainen, Eero Vehniäinen, Jarno Parantainen, and Jani Noronen who played Iron Maiden covers at that time. The first demo songs were recorded on 29 May 1999 in the Watercastle Studio in Jyväskylä; followed by a summer with their first live gigs. 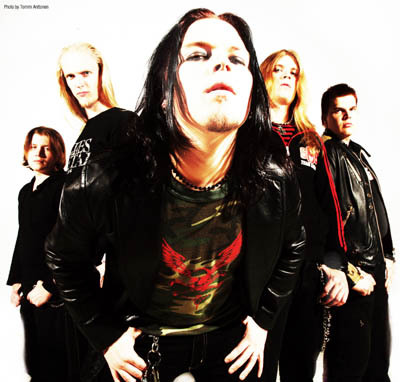 In the fall of that year the track "Through My Tomb" on the first demo recording was chosen as one of 24 finalists of 500 applications for the Jyrki Hit Challenge. The second demo session took place on the 7th and 9th December in the Watercastle Studio once again. This demo received the honourable award "Demosedän Merkki". Summer 2000 was spent with songwriting and playing gigs. In winter Antony, Eero, and Jarno had to serve their general military duty for the Finnish army which caused a 6 month pause for the band. In summer 2001 Machine Men took part in a Big Boom-Band contest. Their success on this competition provided them with the opportunity to publish their song "Failed Trick" on a sampler. Back to the studios in March 2002 where the two tracks "Behind The Wall Of Scene" and "Eye Of The Truth" were recorded. This two-track cd was awarded "demo of the month" in the March 2002 issue of the Finnish magazine Soundi. Machine Men signed a contract with the Finnish label Dynamic Art Records. Immediately after the ink on the contract dried the guys went to the studio in order to record a self titled mini cd of five tracks: "Men Inside The Machine", "Eye Of The Truth", "The Slave Trade", "Enjoy Insanity", and a cover version of Iron Maiden's "Aces High". The mini cd was released in June 2002 and received excellent reviews from several magazines and web zines. After this release Machine Men toured through Finland and played in some more varied locations. The German Rock Hard Magazine published "Men Inside The Machine" on one of their compilation cds. 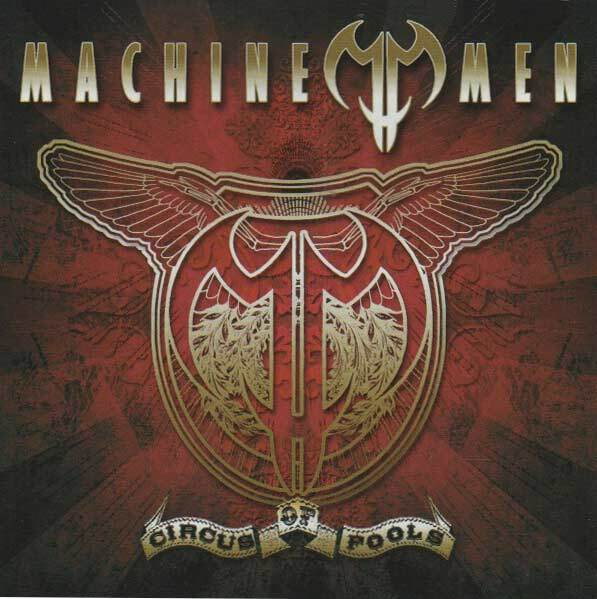 Machine Men constantly wrote new songs and started a new recording session in June 2003. This produced their first full length album, "Scars & Wounds". After a month the album was finished and the mastering took place in the cutting room in Stockholm, Sweden. Scars and Wounds was released in Finland on the 13th October 2003, and went out to the rest of Europe on the 16th February 2004. At the same time Machine Men signed a deal with T2 Promotions who organize their touring. On the 18th January 2005, the band entered the studio again to begin work on their second full length album entitled Elegies. Released on the 8th August 2005 in Germany, and then the 22nd August for the rest of Europe. From this album came the single Falling (Finland only 29.6.05) entering the Finnish singles charts at number 4; it remained in the charts for 3 weeks. Read the studio diary for the recording of Elegies here. During 2005 and 2006 the band continued to tour hard promoting the new album and hit the stage outside of Finland for the first time. They supported Sonata Arctica in 2005 and had appearances at the famed "Wacken Open Air Festival" and "Earthshaker Fest" in Germany. 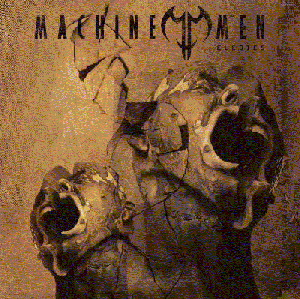 In April of 2005 it was announced to the world's metal press that Machine Men had signed a longterm worldwide deal with Century Media. 2006 saw a few gigs in their native Finland, and an invite to play at "Bloodstock Festival" in the UK. On the 14th August 2006, the band re-entered the studio to begin working on their third album "Circus of Fools", and in October 2006 the album was completed. Read the studio diaries of the recording for Circus of Fools here. Late 2006 the band began a MySpace page to update fans on new videos, songs and information alongside the Official Web Site. On Sunday December 17th, 2006 the band headed to Helsinki to record their first music video. On Wednesday 17th January, 2006 the song accompanying the video "No Talk Without The Giant" was released as a single in Finland taken from the forthcoming album, and you can see it on the aforementioned MySpace Page. The following Wednesday the single hit the Finnish charts at number 2. The album is set to be released on the 14th February, 2006 in Finland and from the 16th to 23rd February throughout other countries in Europe. Watch here for more news on further worldwide release dates.